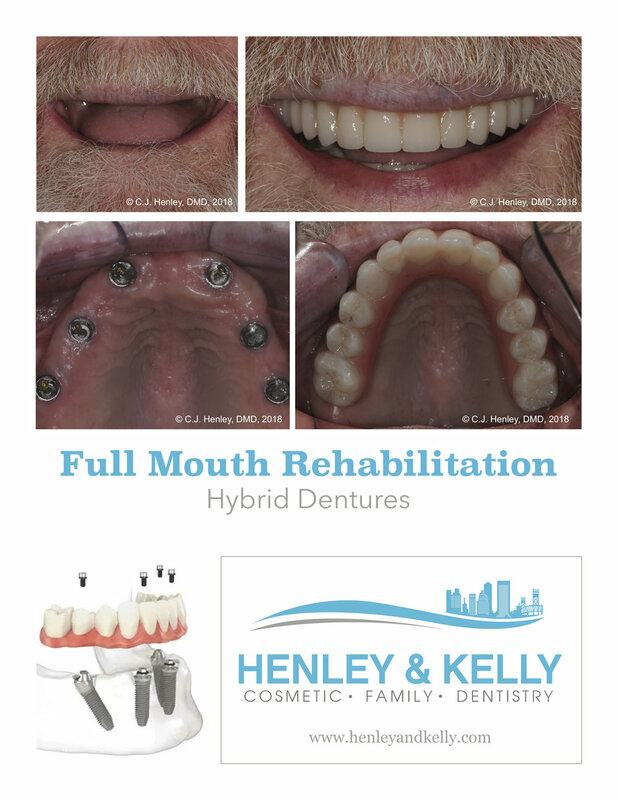 A hybrid overdenture is a full denture (including teeth and simulated gum tissue) that completely covers the upper or lower jaw and is firmly anchored to the jawbone with dental implants. This type of denture can only be removed by a dentist. If you currently wear a removable upper or lower complete denture, you will be delighted to know you will be able to chew and smile again with ease. If you wear a removable complete upper denture, you will be happy to know that a maxillary hybrid denture does not cover the roof of the mouth. This means you will be able to fully taste and enjoy all of your favorite foods again.